Landscape construction projects can take anywhere from 3 days to 3 weeks. Check out a few of our featured projects by clicking on an album below. 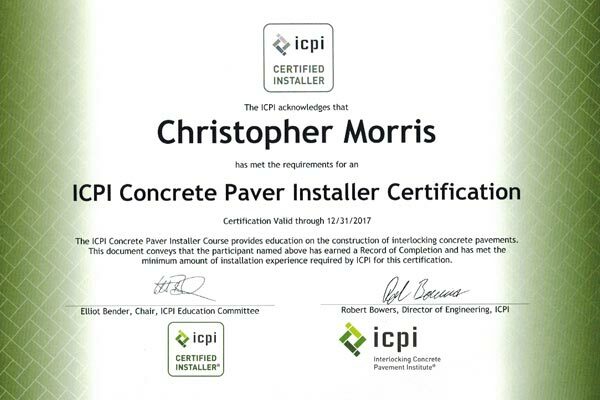 We are certified by ICPI concrete paver institute for installing paver walks, patios and driveways. We are also certified segmental retaining wall installers.